Believe it or not, office furniture is a very lucrative business in the United States. In fact, the industry brought in around $12.6 billion in 2014. For those looking to use contemporary office furniture to improve their work environments, consider the following tips for designing your office space. While the office is not typically the place you expect to find bold prints and colors, it can, however, influence creativity in more subtle ways. Adding a simple pop of color to chairs or even cabinets can add an interesting element of appeal to any office environment. Depending on several factors, including location, office space can sometimes be expensive. For this reason, business owners have to get creative to find ways to make the office functional. One way to do that is by strategically arranging computer desks and using contemporary office furniture to maximize the space. 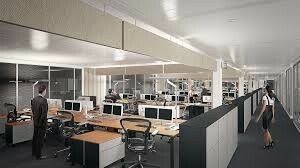 More offices are opting out of the traditional cubicles and onto more modern office desks with space-saving features. 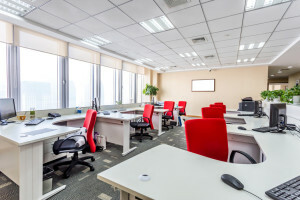 When deciding to maximize on the office space you have available, it is important not to get into a situation in which you end up with more clutter. It is understandable that you want to find contemporary office furniture with built-in organization, but these pieces do not have to be as large as you think. In fact, large furniture pieces in a small- to medium-sized space make it look more crowded than organized. Studies show that productivity among employees increased by as much as 17.5% when provided with the right work chairs and training. Consequently, employers should seek to design workstations that promote creativity as well as increase potential profits. 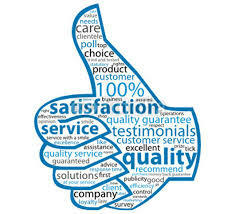 Doing so will increase employee satisfaction and provide an excellent experience for customers and other visitors. The days of the isolated office floor full of wall-to-wall cubicles are coming to an end. In its place are new, modern pieces that enhance the work experience for the employee and increase their productivity. Considering that most adults will work an estimated 90,000 hours in their lifetime, you want to make sure they are doing so in a comfortable, functional environment. Keep the above tips in mind when designing or re-designing your office space and observe the difference. You may like what you see. Nearly 50 years ago Office Planning Group was incorporated as an office furniture dealer in New Orleans. Life was very different when we started our business back in 1969, but we’ve noticed that business needs tend to stay the same – nearly every office requires tables, chairs, desks and cubicles. There are certain niches in the current business world where the traditional office setup isn’t needed; open concepts do away with cubicles. Those corners of the industry though, are usually limited to startups. We’ve learned a lot and seen a lot in the past 47 years. And our state has been through a lot during the time frame as well. Growth, stagnation, disaster, victory and change has worked its way into nearly every corner of Louisiana. We adapted to all of these seasons while maintaining our dedication to offering excellent service as we provide highly functional products that benefit the well-being of our clients. Marketing ploy this is not. Did you know that the average employee at OPG has been with us for 20 years? So, when we say we can answer just about any question and offer you a tailored solution, we actually mean it. A lot of our clients know who we are and what we do, but if you’re new to OPG you probably haven’t stopped by our About Us page. We use this section of our site to tell you a little bit about our history and who we are. One of the things we are proudest of in our 47-year history is our distinction as one of the few companies in Louisiana to win the U.S. Small Business Administration’s Administrator Award for Excellence. This award is given out yearly to businesses in a variety of categories who excel in contributing to the American economy and society. We know that “contributing to the American economy and society” sounds pretty lofty, but it’s true. Small businesses across America – not just Office Planning Group – play an important role in our economy. The other side of this are the contributions we make to society; the average procurement specialist or business owner who wants to do business with someone trustworthy and reliable. We think those contributions our made possible by the continuity we have on our team. Like we mentioned before, our current team has an average of 20 years of experience at OPG. Take our president Jerry Maxwell, for example. Jerry’s been with us since 1982 and has been the president since 1995. Each one of these steps has its own set of details and nuances, but our method never changes. We’ve found it to be the best way to connect with and provide our clients with effective solutions. We’ve won awards and have found a lot of success with our three-step system, but we’ve learned it’s never a good idea to rest on your laurels. Louisiana’s economy is a great example of that. Over the past 10 years, we’ve had big spikes in job creation and steady growth in our labor force from about 2 million in 2006 to 2.2 million in 2016. Yet during that growth there were peaks and valleys. Unemployment jumped to more than 8% in 2011. Our workforce saw growth by the end of the year, but another unemployment spurt hit in 2013 as well as in 2014. However, we’re proud to say that the Louisiana business community has stayed committed to playing our part in the American economy. As businesses in our state have grown or started from scratch, we’ve been there to help design and furnish offices in a way that encourages productivity and communicates the image and brand of the business itself. As offices across Louisiana fill up with OPG’s top-quality products, it’s a sign to us that growth is here and there’s a bright future ahead. We’re looking forward to the next 50 years, and we hope you are too. Does the way you organize your office’s furniture affect productivity? That’s a question that’s been floating around for decades, but as open office concepts have emerged over the past few years it’s become clear that many companies believe there is a crucial link between furniture organization and productivity. And when you read this article from Entrepreneur, you’ll realize that the productivity-furniture connection is more than just a trend or a new version of feng shui. Entrepreneur isn’t saying anything new – plenty of similar concepts have been expressed over the past six or seven years. However, we like the clarity of the statement. There was a time in office organization where companies were concerned about getting the most comfortable chairs and the most functional desks. Even though those factors are still important, they’ve become a secondary issue for many new companies. The most important issue? Creating a workspace conducive to productivity. But how does that work, exactly? Think about the traditional office setup. The big bosses often worked on the perimeter of the office while mid- and lower-level employees worked in the open middle area of the office. That type of organization reflected the top-down style of management popular until the past decade. As a more community-oriented approach has emerged in startups, the way offices and furniture are placed has changed drastically. These days, it’s not uncommon to see startups eliminate the heavy-wood desks of old and place the founder’s workspace right next to a web developer or salesman. His desk? A streamlined, simple piece of furniture no different than the man or woman next to him. And remember, his desk is right in there with his coworkers. The result is that there’s instant communication between decision makers and their staff. That instant communication leads to productivity. Let’s take a step back and think about this idea that furniture organization affects productivity. The business world is full of trends; some become industry norms while others quickly flare out. If employees really are affected by spatial arrangement, there’s a good chance the furniture-productivity trend will become a standard, right? To verify the truth behind this trend we did some research. In 2009, the Journal of Public Affairs, Administration and Management published a study that backed up this idea of furniture organization (and other factors) affecting productivity. According to the study, both male and female workers were affected by spatial arrangements of furniture. Interestingly, women were unaffected by poor furniture (chairs, for example) while males’ performances tended to be affected by it. We’ve talked a bit about the move away from big executive offices, how spatial organization can affect productivity and how poor furniture can hamper your team’s efforts. We want to add one more thought: department-tailored workstations. This idea popped up in an article we read by time-tracking company Desk Time. Some departments need more workspace than others. Some departments need certain kinds of desks that just wouldn’t function well for other departments. Keep this in mind as you think about your office furniture solutions. Workplaces are becoming more and more specialized; capitalize on the movement by finding the mix of furniture and spatial planning that works best for your team. As you can see, there is some strong evidence in favor of taking a second look at the way your office is organized. Now, we’re not saying that you have to reorganize your office to fit the standards of the tech world. But we do think you should talk with us about possible solutions for productivity-inducing office designs. Click here to take a look at our Hon catalog, where you’ll find a variety of options for desks, chairs and more. If your office takes a more traditional stance on organization, we think you’ll enjoy browsing our executive furniture. We have a nice mix of traditional power desks as well as streamlined modern workstations.